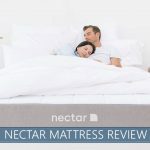 Home » Mattress Reviews » Our Saatva Review for 2019 – Are There Valid Complaints Out There? Our Saatva Review for 2019 – Are There Valid Complaints Out There? Have you dreamed of purchasing a luxury mattress at a fraction of the cost of in-store models? If the answer is yes, Saatva’s premium beds can make your dreams a reality. The company’s direct-to-consumer model allows them to deliver an exceptional product for less than half the price of similar beds. 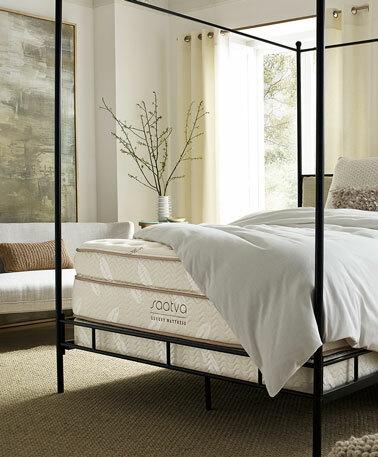 During this Saatva mattress review, we will focus on their flagship Luxury Firm innerspring model and why exactly it ended up being one of our favorite mattress brands (see the full list here). Read our full breakdown below or check out the summary here. Click the button below to get the Saatva Mattress at an affordable price. Starts at $599. Want a classic innerspring feel – With more bounce and airflow than other online brands, you will enjoy a traditional feel that is enhanced with lumbar support. In addition, you should sleep on top of instead of deep in it. Want affordable luxury – More eco-friendly materials and high-end durable construction often comes with a luxury price tag to match, but Saatva manages to keep prices down by using an online sales model. Want quality construction – With strong stitching and materials, you will enjoy it for years to come. 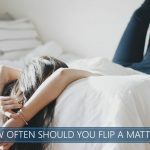 Like the feel of memory foam – While there is a pillow top, responsiveness is quick and you will not have the sensation of slowly melting into the bed. Want a bed-in-a-box – Saatva is not compressed and shipped in a box delivered to your doorstep, which means you will need to block out a small window of time for their white glove delivery service to arrive. However, the edge strength gained from Saatva’s innerspring model is not often found in compressed boxed models and a big perk to consider when ordering. Saatva is an innerspring mattress that uses foam to enhance its design. It is available in a 14.5-inch Premier Luxury or 11.5-inch Custom Slim height. Both options offer the same feel. The Custom Slim size can take advantage of adjustable bases, which the company has available for sale on their website. At its core, there are multiple layers that help this brand stand out from the competition. The Euro-style pillow top’s 1.25-inch layer of foam is stitched in under the cover, aiding with pressure relief. The lower layer of 416 connected coils are 7-inch steel hourglass-shaped support coils. They prevent sagging and provide support. In addition, the coil-on-coil design helps with air circulation and gives the bed a good amount of bounce. The bed’s edges are encased in a sturdy, thick foam (which is also found on its base) to deliver enhanced edge support and make every inch of the surface usable. The bed has particularly great reviews from back sleepers. The springs and unique lumbar region work to provide the right amount of support. Hips dip into it slightly to help give back sleepers the proper spine alignment. There is a slight cradling effect when lying on the mattress. It is easy to move around on and no one should experience feelings of being sucked into the bed. Stomach (belly) sleepers can also be comfortable with this brand. They need adequate support so the back will not arch uncomfortably and fall out of alignment. They will likely find exactly what they need. The innovation in design means that most people, ranging from heavier to lighter, should have their needs met. Still, the comfort level for each person is different. Significantly lighter side sleepers may need to consider the Plush Soft option in order to have proper alignment. A softer bed will allow sleepers to sink down further, which will not only provide the right alignment but pressure relief as well. Saatva blows away a lot of the competition in the area of edge support. This is due to its additional layer of firm foam around the sides that provides superior support. When sitting on the edge, there is little sinking into the bed when compared to other brands. 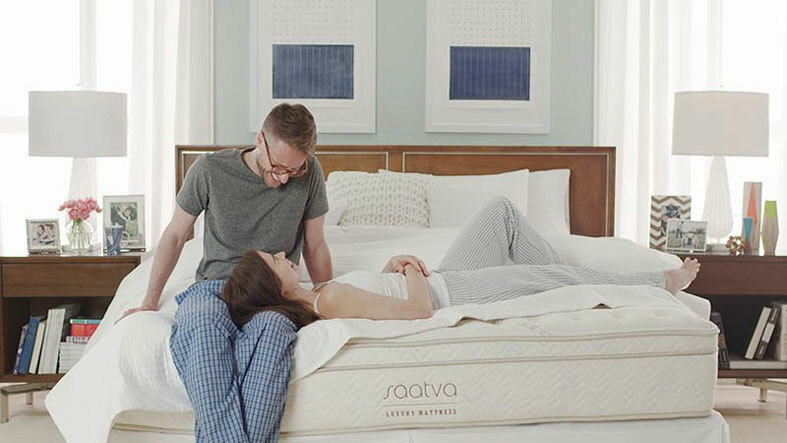 Saatva is a luxury mattress at an affordable price! Its mix of quality and comfort makes it perfect for sleepers of nearly every style. 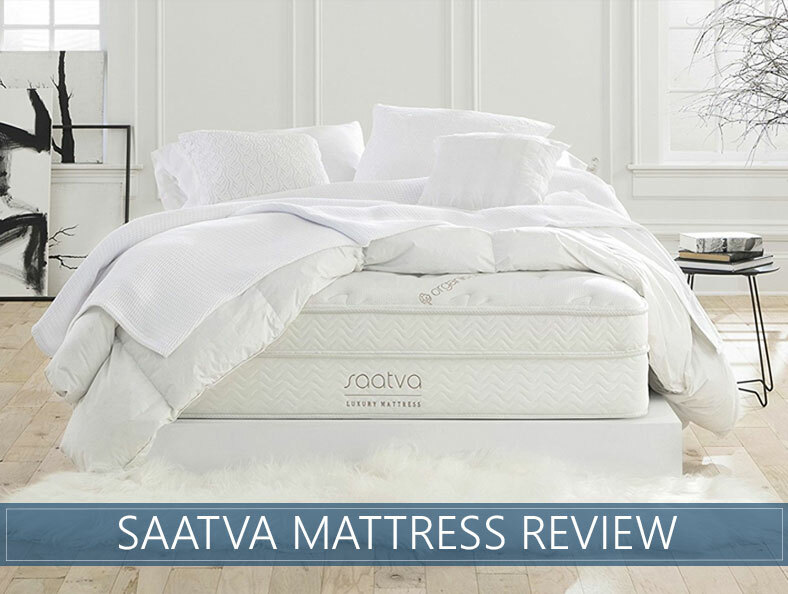 It is easy to see why the Saatva is a high-end luxury mattress. We are impressed by their ability to incorporate features such as extra lumbar and edge support with coil-on-coil construction while staying competitive with pricing. If you want a high-quality mattress with a traditional and luxurious feel, you can consider putting Saatva on your shortlist. It will feel like you are sleeping at an expensive hotel every night. We hope that you enjoyed this analysis. For more options, see our other reviews and use the filter option to get specific products listed that suit your needs. Get SAATVA at an affordable price. Starts at $599. I have tried the luxury firm. Found it too firm. Returned for the Soft. It was too soft. Got the Luxury Firm again but I ordered two twin XL and they sent another King bed. They are very good about exchanges and simply wonderfully polite on the phone. I am not crazy about this mattress but I am tired of shopping so I will keep it for awhile. Phone salesman assured me delivery men would move my old mattress and remove a mattress and box spring. Delivery did neither, and it was up to me to do my own moving and get rid of mattress and box spring. I was offered $75 and told they would let salesman know not to make promises that company won’t keep. + PROS: Good materials, comfortable mattress. - CONS: No white glove service. Did not move my current mattress or remove an old mattress and box spring. I am returning my plush soft saatva. I had it for 4 months and it never did soften up. It felt like a medium firm mattress leaning more on the firm side. The company had great customer service and sent a topper but even the foam in the topper was firm. On a whim I dropped by a furniture store and laid on some beds, all of which were much softer and more comfortable than my saatva. I made a purchase and couldn’t be happier about returning that mattress. Last time I order online and spend days reading reviews and researching mattresses. You have to test them out first! + PROS: Well built bed. Organic Cotton. - CONS: It's way too hard. The scale of hardness is incredibly off on this brand. The luxury plush soft is close to a 7 on hardness with 10 being a 3/4 inch piece of plywood. Side sleepers beware! My back went out this morning even sleeping on my back vs. my side. My wife and I have had numbness in joints from the firmness of the bed. We ordered a firm. We sleep very well. Mattress is very comfortable even on my side. I don’t sink into this bed, but stay on top of it. Motion is somewhat isolated and good for partners getting up to visit the bathroom at night. Bed is not hot. I have had Serta which wore out in seven years the 2000 top of the line. Had a Beautyrest that the bedding edge broke and poured over the side which was three years old, very disappointing. We have had this bed since Summer and you can barely tell where we sleep. The Edge Support is one of the best I have ever had. You can literally sleep right on the edge and still not have that rolling out feel. The bed conforms to your body shape and is very comfortable. One of the best mattresses I have ever had! + PROS: Good nights sleep no body ache. Great support. Good motion isolation. Great Edge support. - CONS: Can be a little too bouncy if partner kind of bounces into bed. Other than that great. I ordered a luxury firm mattress about 4 years ago and unfortunately just went and bought a brand new mattress. We have a standard metal frame with the center support. The only place for me to sleep on the bed was directly on the center support. The mattress dipped so bad on each side. The customer service was very good.